Absolute Wellness Center offers sports medicine, chiropractic medicine, physical rehabilitation, acupuncture, massage, and many other options for athletes suffering from sports injuries that render them unable to participate or excel in favorite activities, and sometimes to even perform everyday tasks. Dr. Michael Herb is a Diplomate of the American Chiropractic Board of Sports Physicians, an honor and level of specialization held by only about 300 physicians across the United States. Both Dr. Herb and Dr. Brandon Beckerman, along with most of the Absolute Wellness Center team, have been athletes their whole lives, and all of our providers work closely with our rehabilitation team to provide the highest quality sports medicine, physical therapy and rehabilitation for our patients. A traumatic injury, sprain, strain or overuse injury may not only require a lengthy recuperation period, but if left untreated it may progress into complications such as internal scarring that inhibits mobility and limits full recovery. Here at Absolute Wellness Center, our doctors and team are committed to providing sports medicine, chiropractic care, physical rehabilitation, and other non-surgical therapies that can help the athlete recover from a sports injury quickly and normally. Our methods also permit natural pain management for athletes who cannot or prefer not to take painkillers on a regular basis. Some sports injuries primarily involve the skeleton while others originate in the muscles, ligaments or tendons. But since the entire musculoskeletal system works together as a finely tuned machine — an injury to one component can severely impair the function of others in the system. Impact injuries to the spine, for instance, frequently cause a variety of symptoms throughout the body. Football players who sustain a full-speed tackle or a heavy fall onto artificial turf may experience injuries to the spine that include disc herniation and other forms of nerve impingement. Trauma to the cervical spine may result in symptoms of whiplash, while a similar problem in the lower spine may result in back pain or sciatica. A sports injury may involve painful muscle or ligament tears as well. We can employ a combination of chiropractic care, rehabilitation exercises, massage therapy, acupuncture, and other treatments to treat the injury, help tissues heal themselves, and restore flexibility and strength to injured muscles. Overuse injuries are another common form of sports injury. The most well-known example may be a form of tendonitis known as “tennis elbow.” This type of injury occurs when the forearm tendons and muscles become inflamed from hours of serves and returns, especially if a flaw in the athlete’s technique aggravates the problem. 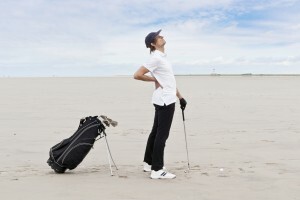 Golfers may also develop “golfer’s elbow” for similar reasons. Joint pain typically affects runners, basketball players and other athletes who subject their hips, knees and ankles to constant impacts. Runner’s knee actually begins as a misalignment of the patella. Plantar fasciitis, a painful foot inflammation caused by strained connective tissue in the arch, may stem from poor posture or mechanical issues that put uneven stress on the foot. We can help correct overuse injuries through chiropractic care to release tight tissues, physical therapy and rehabilitation to regain strength and flexibility, massage therapy to boost the circulation of healing nutrients to your tissues, acupuncture for pain management, and prescribed exercises or lifestyle changes to help protect your body against recurrences of the sports injury. Prompt use of therapeutic massage can also help prevent or break up adhesions, lumps of abnormal scar tissue that affect range of motion and inhibit healing and cause pain. If you have had an injury, don’t let it stop you from doing what you love and what brings health to your life. Dr. Michael Herb, our clinic director and a Diplomate of the American Chiropractic Board of Sports Physicians, has been an athlete his whole life and understands how our clinical team can work with you to keep you fit and active for the long-term. If you would like to be examined, or to discuss treatment options, please contact our office at 541-484-5777 or schedule an appointment. Common Sports Injuries: What Are They? 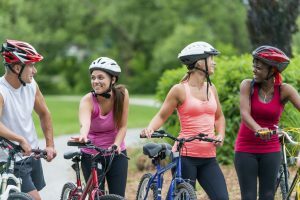 Common Sports Injuries: What To Do About Them?